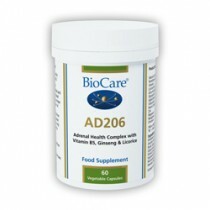 Adrenal glandular concentrate provides all of the amino acids naturally present in the adrenal glands. 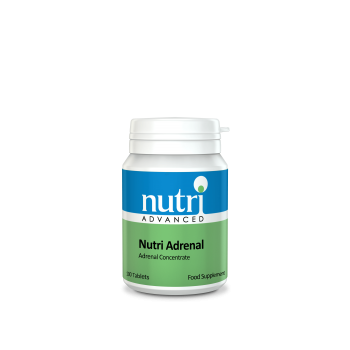 Nutri Adrenal provides a high potency, hormone-free adrenal glandular supplement. The adrenal glands are largely responsible for the body’s hormonal response to the stresses of life. They produce a number of crucially important hormones, including DHEA and cortisol, and because of this, our optimal health depends on optimal adrenal function. As well as playing a key role in the “flight or fight” stress response, the adrenal glands are also involved in a wide variety of additional physiological functions, including water/electrolyte balance, inflammation regulation and blood sugar control. The acute and chronic stress of daily living means they have a lot to deal with, and may suffer as a result. Glandular therapy may be used to support the corresponding gland. The adrenal glandular concentrate contains amino acids, enzymes, vitamins and minerals that are naturally present in this gland. In studies, glandulars have been shown to be stable in the gut, survive the conditions of the gut, and an amount of the extract will pass intact into the bloodstream. 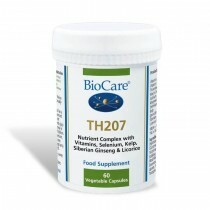 In this way, they may support the healthy function of the adrenal glands. Glandular therapy uses animal tissue concentrates to support the function of the corresponding human gland. Historically, glandulars have a rich medical tradition dating as far back as Aristotle. Bovine glands are used in Nutri Adrenal as they are very similar to human glands. Up until relatively recently organ meats were an important part of human nutrition. Today however we rarely consume them. The glandular extracts in Nutri Adrenal are sourced from New Zealand cows, that are fed on pesticide-free pastures, and are never given antibiotics or hormonal growth stimulants. This source meets the United Nation’s Food and Agricultural Organisation standards of organic. New Zealand is a certified BSE-free country and has never had any reported cases of BSE. The glands are freeze dried which ensures that all essential active nutrients, including enzymes, peptides, vitamins, minerals, are retained. There is no heat or solvents used in the process. 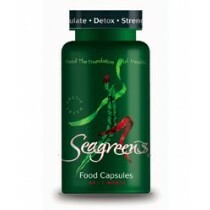 Each tablet provides 100mg of adrenal glandular concentrate. 1-3 tablets in the morning with food, or as directed (do not take after 1pm).